There's something so very special and tactile about film, it's so timeless and often experimental in nature. 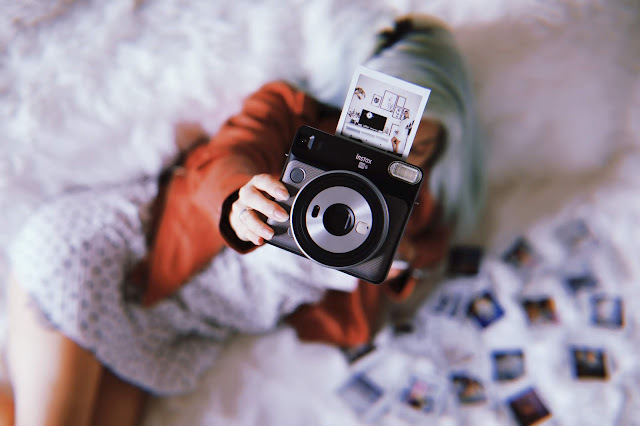 I myself own many film cameras ranging from instant developing instax, medium format Holga lomo and the classic Olympus OM-1 35mm camera. 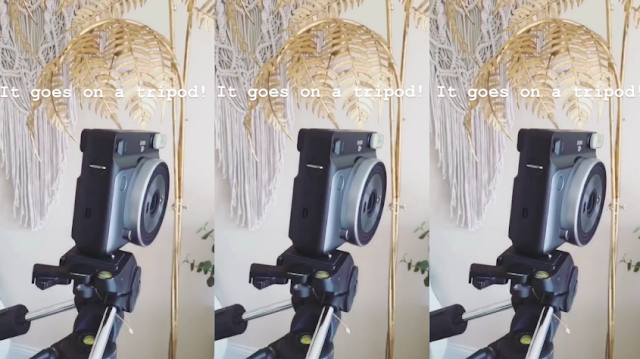 Even now popular apps like Huji, (an app based off a disposable film camera), are taking inspiration from these film roots by replicating their effects for the users. It's funny that even with access to so many editing applications, we still go towards instant edits we have no control of. 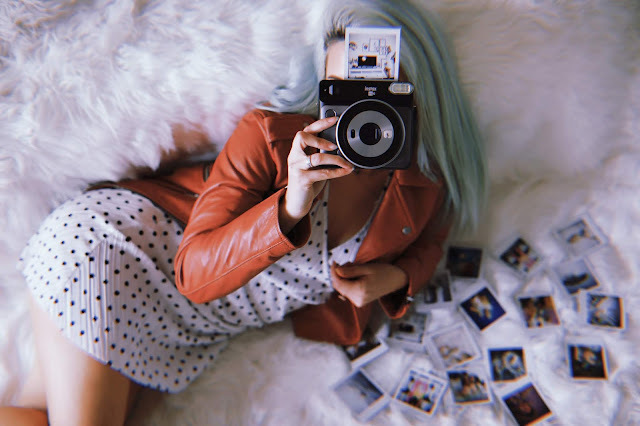 We love quirky light leaks, dust and date stamps and the convenience. In this digital age we take photographs for granted, we can shoot them on our phones and instantly share them around the world. Hardly ever do we print, or file our photos into an album. Usually they just sit as digital files on our phones or computers, perhaps uploaded to Instagram or a Facebook album if we like them enough. I do love going to my parents house and riffling through all the photo packets, the albums, the string of negatives. Holding moments of time frozen and immortalised is so emotive, so special and fragile. I often have more of an emotive reaction to a printed photo that something I see on a screen. 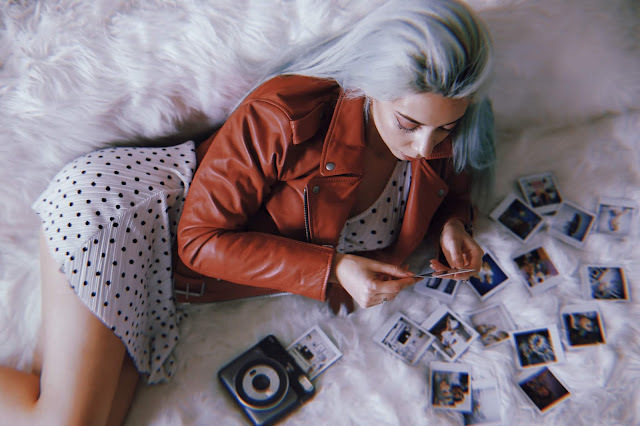 Film is making a come back for sure, I see people using disposable and instant film cameras at festivals which actually is really practical. You don't need to charge a phone or camera, don't have to worry about losing or damaging expensive equipment and then you get the excitement of seeing how the images will come out either straight away or when you get them developed. 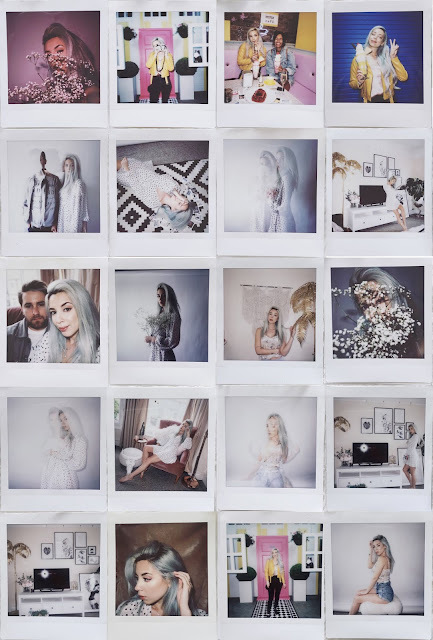 I always bring my instax mini 9 when going to festivals and trips, afterwards using the instant pictures clipped to fairy lights as home decor! I was lucky enough to be invited to the launch last Tuesday, it was under so much secrecy, we only knew that a brand new game changing camera was to be unveiled and boy were they right! I caught up so many friends and ran around taking pictures in the spaces they'd set up. You have the choice of 3 colours, graphite grey, pearl white or blush gold, inside the box you get along with the camera, a manual, strap, batteries and colour filters for the flash. Film is sold in cartridges of 10 and is loaded the same way as with the mini series, available in black or white borders. First thing I'm sure you might noticed is that unlike their mini, these are square format sized at 2.4x2.4". It's Fujifilm's first square format fully analogue camera. These little plastic covers fit onto the flash to fill your photos with colour, with the choice of purple, orange and green, I opted for purple for this shot. The back of the camera has lots of settings for you to play around with, to scroll through, simply press the "mode" button. Underneath "mode" there's a 10 second self timer, a massive game changer, especially with the addition of the tripod socket! Just remember to press this every time you want it on, it turns off after every shutter release. Under timer there's the flash on/off button, perfect to change up the mood of your imagery and play with the surrounding natural light. Back to the main menu, first setting is AUTO, focal length is 50cm - 2m. This as you can imagine, automatically adjusts exposure for you, the perfect go to click and shoot setting if you aren't up for getting creative just yet. Next is SELFIE, as you set the camera on this, you'll notice the lens automatically adjusts it's focal length so you'll be perfectly in focus between 30-50 cm from the lens. On the front of the camera there's a handy little mirror so you can roughly tell that you'll be in frame. MACRO from what I can tell is the same really as the SELFIE mode, the lens automatically adjusts it's focal length to focus between 30-50cm. I don't have an examples of LANDSCAPE, this adjusts the focal length to 2m - infinity. DOUBLE EXPOSURE was a lot of fun to play around with! I tried it with flash and no flash to also see what difference that would make. Just remember to add self timer on each time... that caught me out on occasion. This mode exposes the same piece of film twice to give a layered look, once both photos are taken the film then instantly comes out. Focal length is 50cm - 2m. Last two settings are LIGHTEN and DARKEN, to best demonstrate this I used a tripod and the self timer to shoot three comparisons. First was on AUTO (middle picture) then LIGHTEN (left) and DARKEN (right). This is now by far my favourite camera from the instax range that I've tried. I love the simple beauty of it's instant photography, mixed in with a little creative input from the photographer. It's great you can still use it as a simple camera much like the instax mini range, but it's now even better with bigger photos. So many people never read the mini's instructions, you're meant to point the camera in the direction you're photographing, then check the exposure wheel which setting you're meant to use. So many people are left with incorrectly exposed photos, but with the SQ6 this will never happen! For the more creative user the new settings are great to play around with! If I was to choose between the mini and SQ6 I would hands down go for the SQ6! If this has got you excited, not long to wait now, it's released on the 25th May retailing for £124.99, learn more here. But if you'd like to win one before this date, check my instagram on Monday 21st and look on this photo to enter! 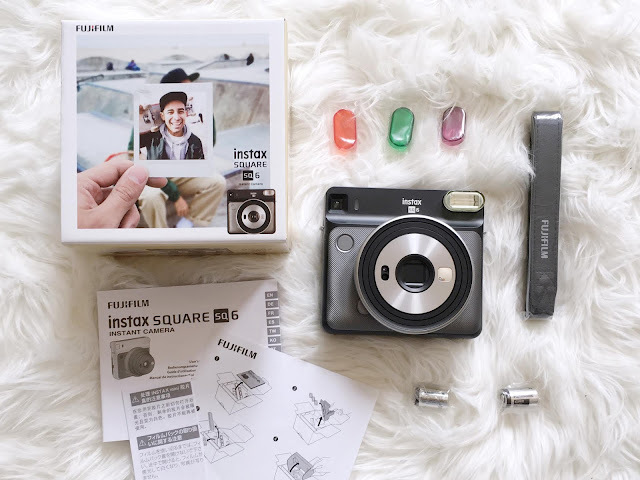 Watch my review for a comparison with the mini 9!